Super cute fashion for pets. 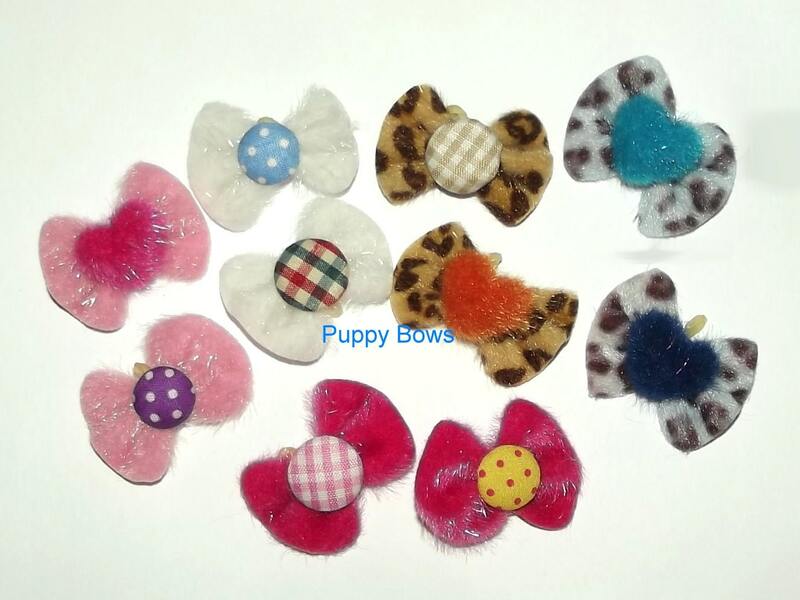 This listing is for a set of 8 fuzzy animal print bows that are very small being about 1" long, very lightweight with a latex band attached. Choice of boy set or girl. The assortment will vary. I've been making bows for 20+ years Custom orders available.